Bellini are relatively famous (and I caution you against taking that 'relatively' as anything other than a gross over-exaggeration) for having their band leader and "notorious troublemaker" Damon Che quit live on stage in Athens, GA, stranding the Italio rockers on the wrong side of the Atlantic sans airline tickets. 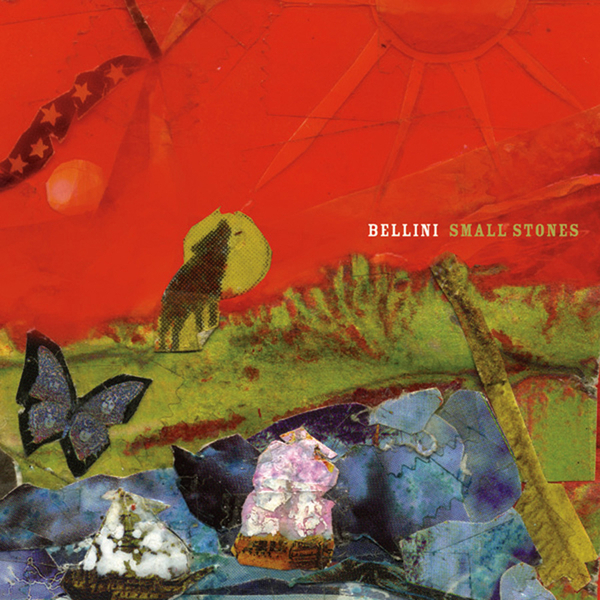 Labelled as their 'triumphant comeback', 'Small Stones' is Bellini's second full-length and the first to feature Alexis Fleisig (Girls Against Boys, Soulside) on drums. Recorded in a studio which appears to have contained Steve Albini in some capacity, Bellini took just 5 days to complete; a rapidity which lends the album a tenebrous quality. Distilling elements of post-rock, punk-rock, The Stooges, Billy Corgan, Melt Banana, Sonic Youth and all manner of leather trousered cliché's down into manageable chunks, songs like 'Room Number Five', 'Smiling Fear' and (in particular) 'The Exact Distance to The Stars', horripilate (look it up) with an attitude often lacking in today's shiny Kerrang sanitized rock scene. Bolstered by a fantastic vocalist in the shape of Giovanna Cacciola, Bellini are big, clever and (most importantly) feverishly contagious. See you at Donnington.